In April this year my youngest son became engaged to his lovely girlfriend. 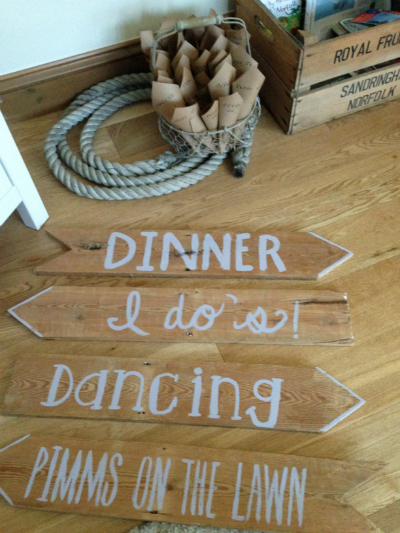 Plans for a summer wedding started almost straight away. 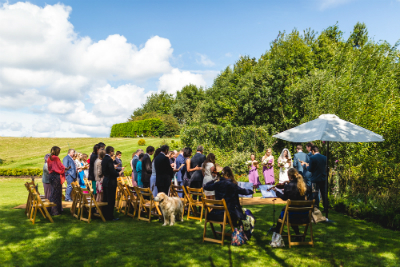 Very quickly the couple decided on a venue, they knew very clearly that they wanted the celebration to take place in their most favourite place, North Norfolk. 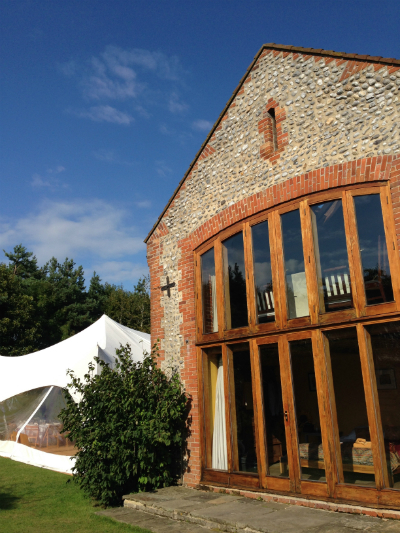 They fell in love with Chaucer Barn, Gresham nr Holt North Norfolk. I cannot recommend the venue enough. They kindly squeezed our celebrations into the only space on the calendar in August. The couple were delighted. The Barn sleeps 18 in 9 gorgeous bedrooms, cosy lounges and huge hall for dining and cooking with a homely Aga. There is also a formal garden and meadows. Next we needed to find an amazing Norfolk Wedding photographer. Twitter was a good place to start, very soon I had a list of about 8 photographers. Many of these were incredibly talented. The couple singled out Andy Davison a Norwich based photographer . His pictures stood out to us all, very creative and well shot, a real talent. Andy had photographed Weddings at Chaucer barn before so we were able to see some of his work and the way he had captured the lovely barn and grounds beautifully . On the same day as our visit to the venue we drove to Norwich to visit Andy. The couple knew at once he was perfect, they were impressed with his work and felt very comfortable in his company. Although Andy was incredibly busy around the time of the wedding he kindly fitted us in. Finding a caterer who could provide a completely gluten free menu we knew would be difficult. 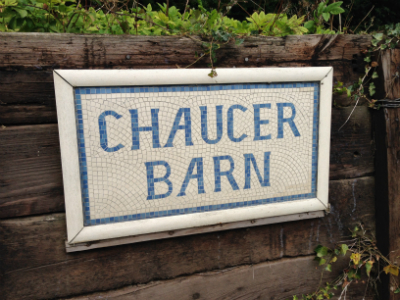 Chaucer barn recommended Alex Chef who often catered at the venue. Now planning a Norfolk wedding from Surrey was not the easiest but through emails and calls the couple decided to use Alex his exciting Southern American street food menu exited them it included spicy pork, chilli chicken wings , beef chilli and corn bread and with the brides family coming from America the couple thought it would work well with a very english wedding ceremony. Alex is a very talented chef , very laid back and is very competent cooking for a small or large party. Alex used Anglia Elite for crockery, table cloths etc. Wedding Flowers I knew would be the easiest to organise. I follow Nicholas Godfrey-Cole from Scent with love Hunstanton on Twitter and have seen him work first hand at Sandringham flower show. The bride and I met up with Nick at the florists in Hunstanton and was able to talk through the brides requirements. Its always worth taking photographs or using pinterest to show your florist what you hope to achieve. 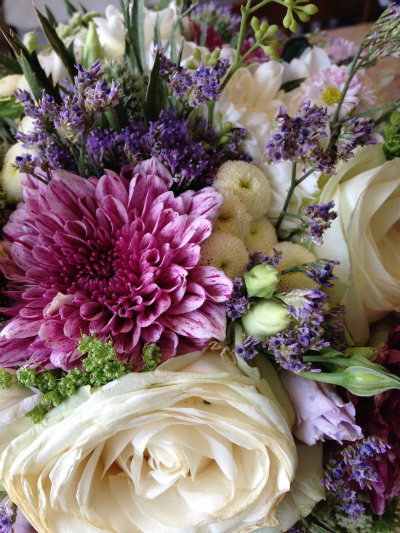 We ordered three hand tied bouquets one for the bride and two for the bridesmaids along with some button holes and a large order of flowers to do our own arrangements on the day. With a number of talented family members and a tight budget this worked well for us. 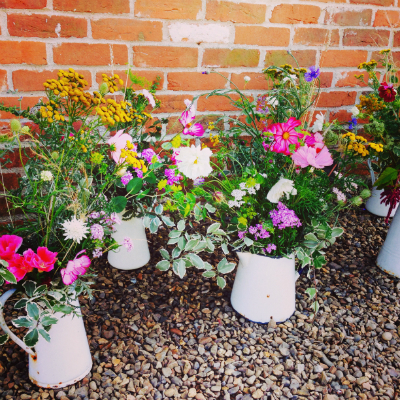 The couple wanted a country feel to their wedding so I sourced Wild flowers from Daisleys wild gardens at Drove Orchard. Pauline was very helpful and we were excited at the prospect of jugs of wild flowers around the gardens of Chaucer barn. I found a large quantity of white enamel jugs from vintage shops and visited Ikea with the bride to buy simple large and small vases. We have a lovely bridal shop in our local town in Surrey and the bride was thrilled to find a dress she adored on our first visit. Natasha Jane bridal shop in Dorking. Again I can recommend Natasha, She was friendly and helpful. 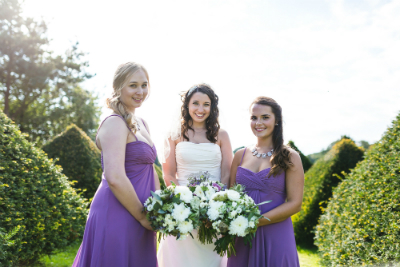 Natasha has a reliable talented seamstress who works with her to create the perfect gowns. The couple decided on a marquee for their wedding reception party on marquee worked out best for our budget. 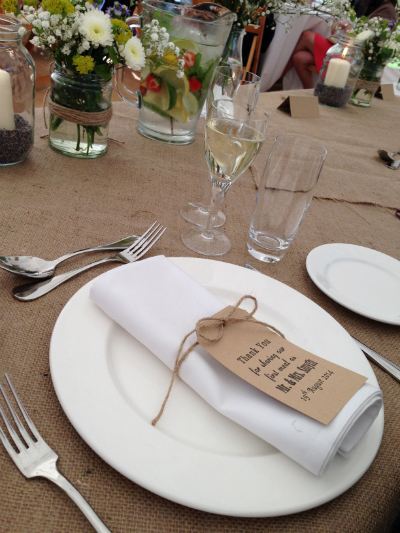 They also supplied chairs ,tables and fairy lights for the marquee. 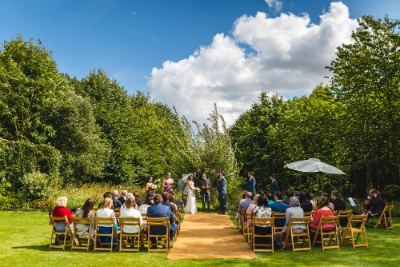 The couple wanted a Christian wedding ceremony outside in the meadow so they needed to also book a Registrar to conduct the legal wedding ceremony Kings Lynn office were very helpful. Our local Norfolk Minister Sam Abramian from our church Union church in Hunstanton kindly agreed to conduct the Wedding ceremony. 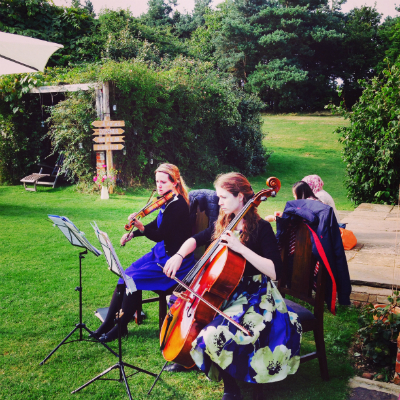 Music was the next to plan, I found Norfolk based Waveney string duo, Kate and Kayleigh play violin and cello. They came with lots of recommendations. All aranged via email with Kayleigh, very easy. The girls agreed to learn a hymn Be thou my vision for the ceremony and here comes the sun by the Beatles for the brides entrance. Evening music came recommended by Chaucer barn The Joe Ringer band. The couple really wanted a swing band and the band have a huge selection of swing music and modern music to get guests up on the dance floor. Alcoholic Drinks were sourced from Majestic Kings Lynn, Norfolk apple juice from Drove Orchard Thornham, and Raspberry and Elderflower and cucumber cordial from Norfolk Cordial. 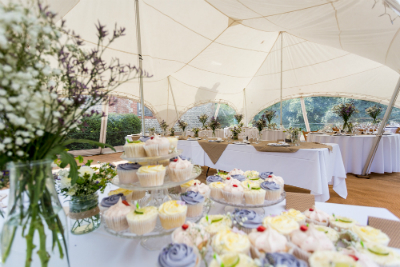 The couple wanted gluten free cup cakes instead of tiered Wedding cakes. I found Sugar buttons cakes. Imogen is a diagnosed Coeliac which means she is very aware of cross contamination. Our visit to Imogen’s home to try all the flavours of cup cakes will remain with me for a long time. A really lovely part of the wedding preparation process. The couple decided on Strawberry, Lemon cheese cake, Lime and coconut and lavender and vanilla. All beautifully decorated, Imogen is very artistic and all her cakes look amazing and taste delicious. Gluten free bread rolls were one of the hardest things to find, they needed to taste as good as regular rolls. I found Wheat free bakery in Scotland and after doing a test order for the couple to try we put in an order for 70 rolls. The family were impressed with the quality of the rolls. We booked local Bernies Taxis to run family to and from the venue. 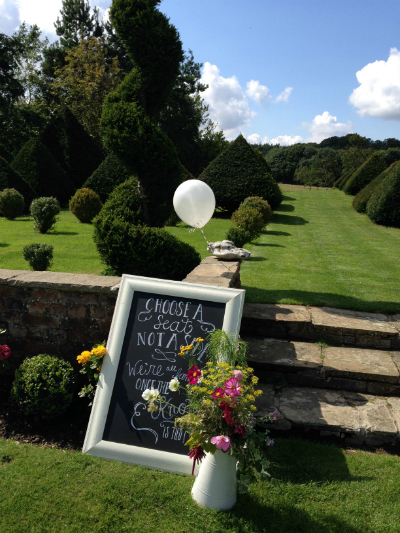 Norfolk’s Ronaldo’s provided gluten free ice cream for the wedding. The bridal party ladies wanted to have a Spa day shortly before the Wedding in Norfolk. 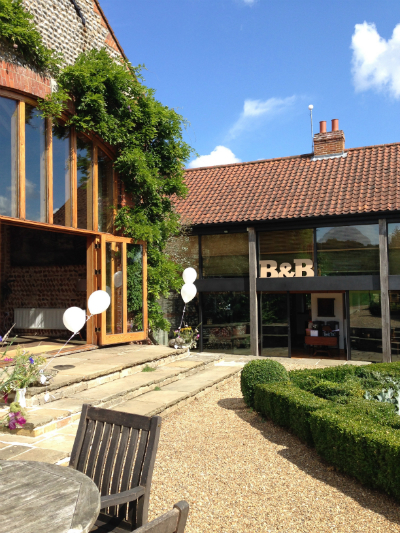 I struggled to find somewhere to accommodate 7 of us but Twitter was helpful again, and I was able to book Ficarra’s spa in Fakenham who looked after us very well. We booked a full day including a swim and massage. All decorations were hand made for the Wedding we used online shops to source materials and the bride made all the place names and thank you luggage tags and homemade kraft paper cones to hold natural petals for confetti. The save the date cards and invitations were also hand made and designed by the couple on kraft paper and printed in Hunstanton. 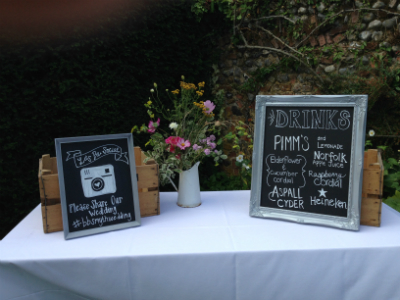 My parents made black boards to use at the Wedding, about six in total. using old paintings and framed mirrors from second hand shops. I found good priced white simple fairy lights on Amazon which decorated the Barn. 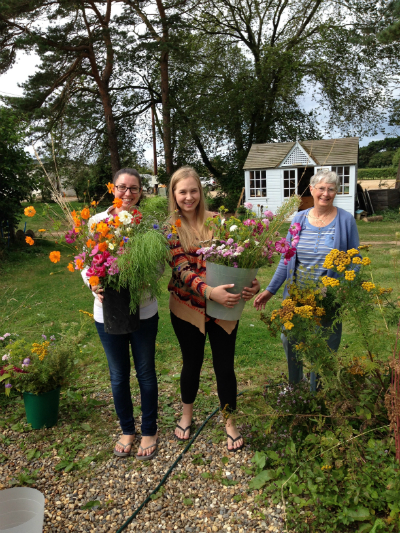 The day before the Wedding, we collected the wild flowers from Daisleys wild flower garden at Drove orchard We were thrilled with the collection of flowers. and collected the bridal flowers from Scent with love Hunstanton , The bride asked for a few alterations which Nick and his team were happy to do. The flowers were beautiful and hand tied with brown string. 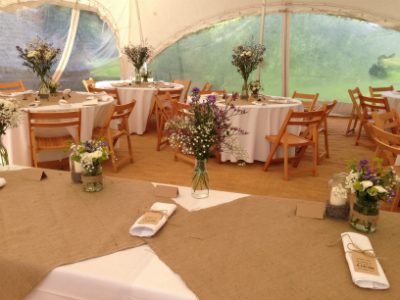 We arrived at the venue ,and the afternoon was spent making flower arrangements, decorating and putting up tables and chairs in the marquee for the big day. It was a real family affair with many family members from both families using their talents to make the day perfect. After a run through of the ceremony with Sam the Minister. 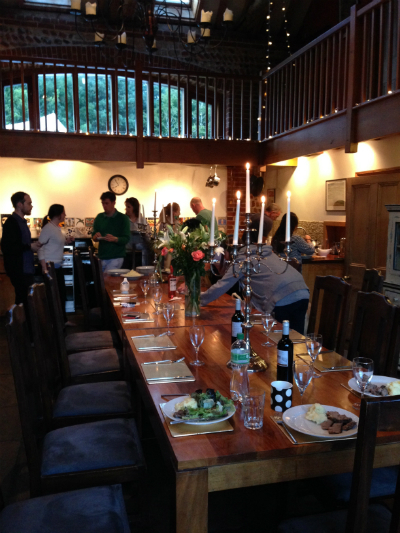 We gathered together in the large barn around the table and enjoyed a meal cooked by the brides family. I cannot think of a nicer way to prepare for such a special day. the gentle breeze, sometimes not that gentle! Family and friends arrived at Chaucer Barn . The Brides family came over from America for the weddding. Everyone gathered in the barn and on the beautiful lawn. Tea, Coffee and gluten free biscuits were offered to guests. 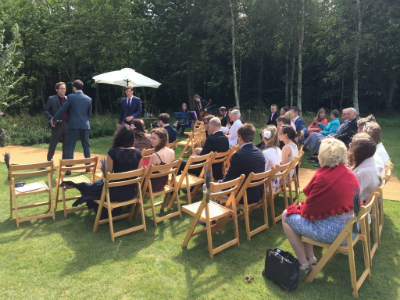 The meadow wedding ceremony took place at 2.15pm with Waveney string duo providing the music. We had lots of comments about the lovely music. All went well, the maid of honour and bridesmaid walking down the aisle accompanied by the best man and grooms man, more traditional in America. A lovely idea, the girls really looked stunning in their lavender dresses. They carried the pretty hand tied bouquets from Scent with Love. The Bride came down the meadow aisle to The Beatles Here comes the sun. She looked absolutely lovely, her veil gently blowing in the breeze . The gathered family and friends sang Be thou my vision the traditional irish tune sounding particulary nice played by the string duo. After the Christian ceremony we moved to the barn entrance for the civil ceremony. I was honoured to be a witness along with the brides Mom. 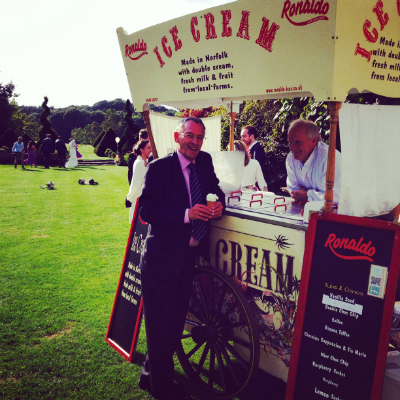 and gluten free ice cream from Norfolk’s Ronaldo’s served from a cart in the afternoon sunshine. I provided gluten free cones for those who were gluten intolerant. The advantage of being gluten free ( and there isn’t much! ) is that we went first to avoid cross contamination from the regular cones. We could have used tubs for everyone to have avoided this. While photo’s were taken by Andy Davison, family and friends chatted, played garden games and listened to the music from the string duo once more. 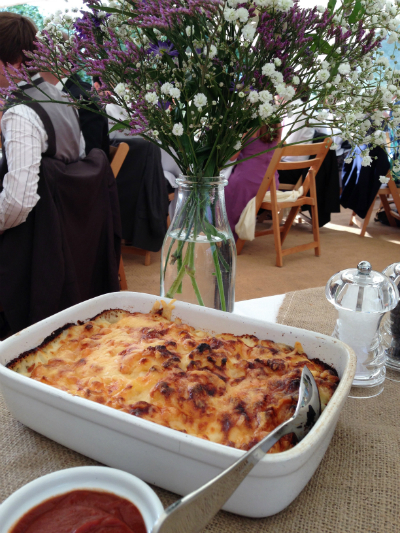 The delicious gluten free Wedding meal prepared by Alex Chef was served in the marquee by Alex’s team of girls who were exceptional. I had lots of comments about how good the food had been. Many would have had no idea the entire meal was gluten free. My food was also yeast, onion and garlic free too. 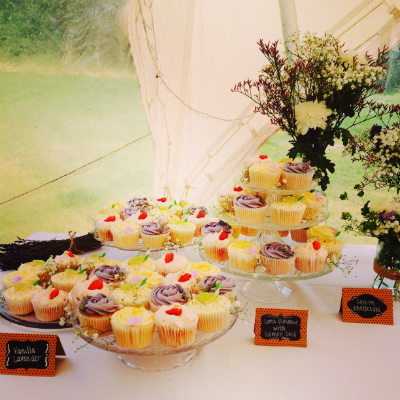 The wedding cup cakes, were brought to the venue by Imogen from Sugar buttons cakes and displayed in the marquee. They looked very pretty on vintage glass cake stands and tasted incredible. No one would have known they were gluten free. Many people were so full after dessert ( chocolate brownie, vanilla panna cotta with raspberries and a homemade biscuit ) that we had plenty to take home and have for breakfast the next day. After brilliant speeches we moved to the fairy light filled barn for dancing with The Joe Ringer band. Very talented guys who I can very much recommend. The first dance which was Days like this from Van Morrison after an hour of Swing we had another fun filled hour with everyone on the dance floor again. The evening ended with sparklers on the lawn, especially wonderful with Norfolk’s big star filled sky. Throughout the day Andy Davison the photographer managed to be just at the right place at the right time without being noticed. It never felt that Andy was in the way. I even saw him sliding along the ground and diving through the undergrowth to get the best shots. We are all blown away by the shots we have seen so far, click here andydavisonphotography to see his amazing work. Family and friends had a wonderful relaxed day in the Norfolk countryside celebrating two of our very favourite people in the world becoming Mr and Mrs Smyth. I could not be happier about the way the day went. Thanks to all those who played a part in their special day.